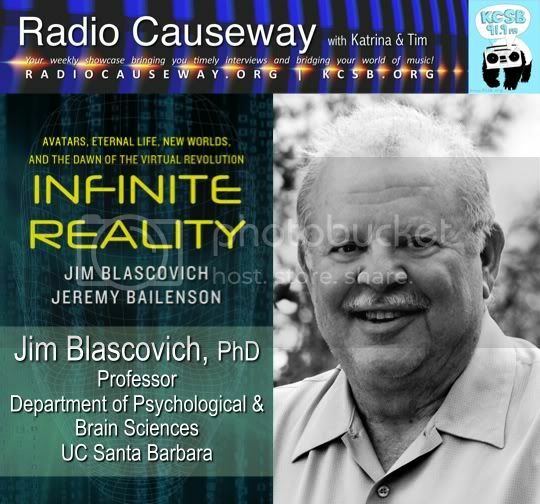 Professor in the Department of Psychological & Brain Sciences at UC Santa Barbara and co author of the book, Infinite Reality: Avatars, Eternal Life, New Worlds, And The Dawn Of The Virtual Revolution stops by Radio Causeway to discuss the book. Dr. Blascovich is also the Director of the Reseach Center for Virtual Environments & Behavior. Plus The Mullet's Strange News & Yeah! Free Music! The Yeah! Free Music! pick of the week comes from the band Uninhabitable Mansions with the song, I Dream So Vividly (Live on The Long Rally). Listen live Tuesdays from 9-10AM pt on KCSB-FM 91.9 in Santa Barbara | KCSB.ORG! 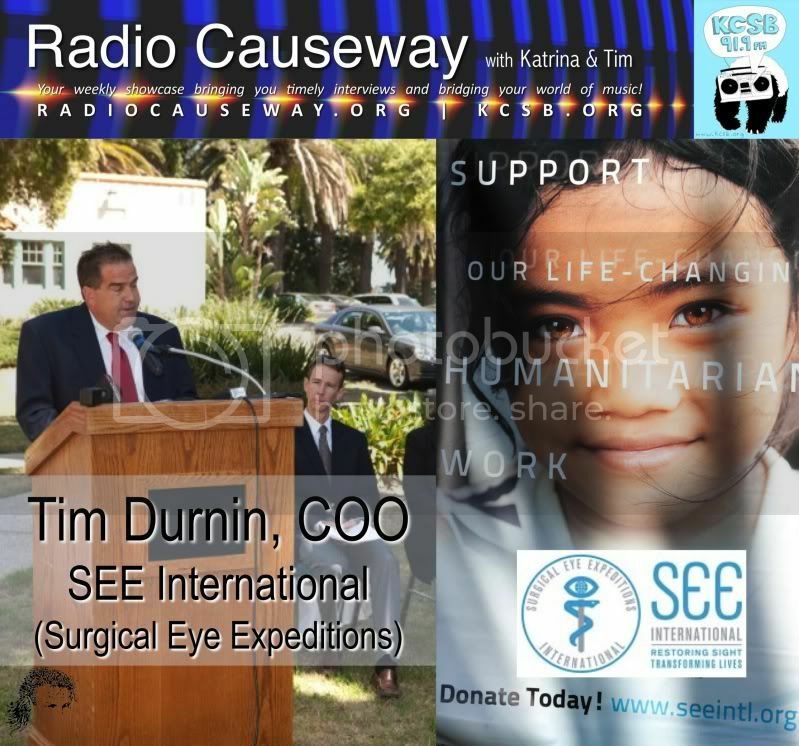 On this week's Radio Causeway, Tim Durnin, Chief Operating Officer for Surgical Eye Expeditions (SEE) International is in studio to discuss the new SEE International Santa Barbara Vision Care Partnership with Santa Barbara County Public Health. The partnership will give free access to local patients for ophthalmology services in attempts to fight adult blindness caused by diabetes. According to www.city-data.com 7.3% of the Santa Barbara County population has diabetes. SEE International is a 501(c)(3) nonprofit humanitarian organization that utilizes volunteer ophthalamic surgeons to provide sight-restoring surgery to blind individuals worldwide and right here in Santa Barbara County. Plus the Mullet's Strange News and Yeah! Free Music! The Yeah! Free Music! pick of the week comes from us from the Barcelona, Spain group, Jenifer Avila with the song El Tranvia. 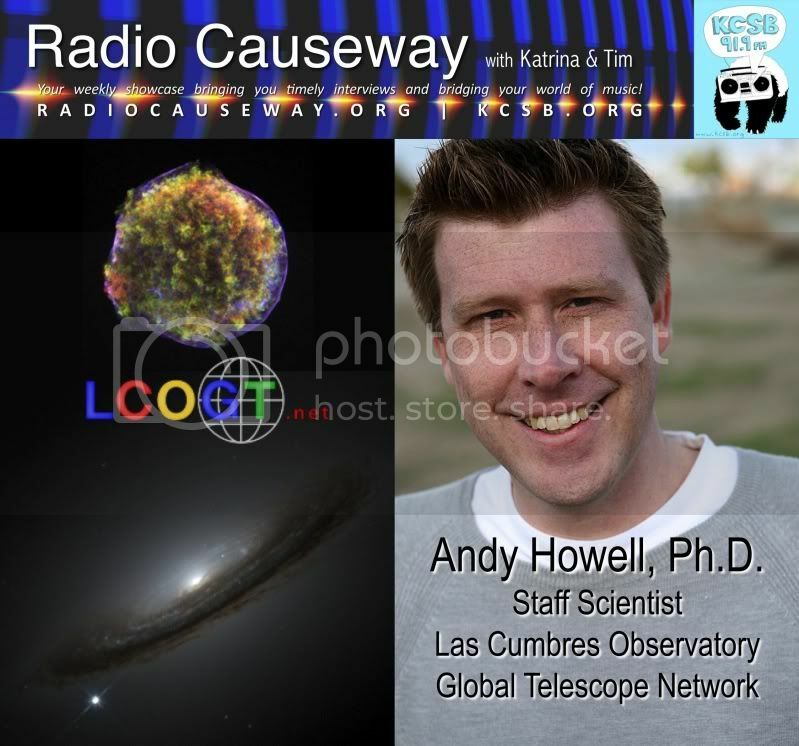 This week Radio Causeway chats with Andy Howell, PhD, Staff Scientist at Las Cumbres Observatory Global Telescope Network. Dr. Howell recently published an article examining the connection type 1a supernovae have with Dark Energy and zombie stars. You can find the article here. Dr. Howell is also an Adjunct Professor at UC Santa Barbara as well as the Host of season 3 of Known Universe on Nat Geo. This week's Yeah! Free Music! pick of the week is And So It Begins... from Wisconsin based, Cranston. 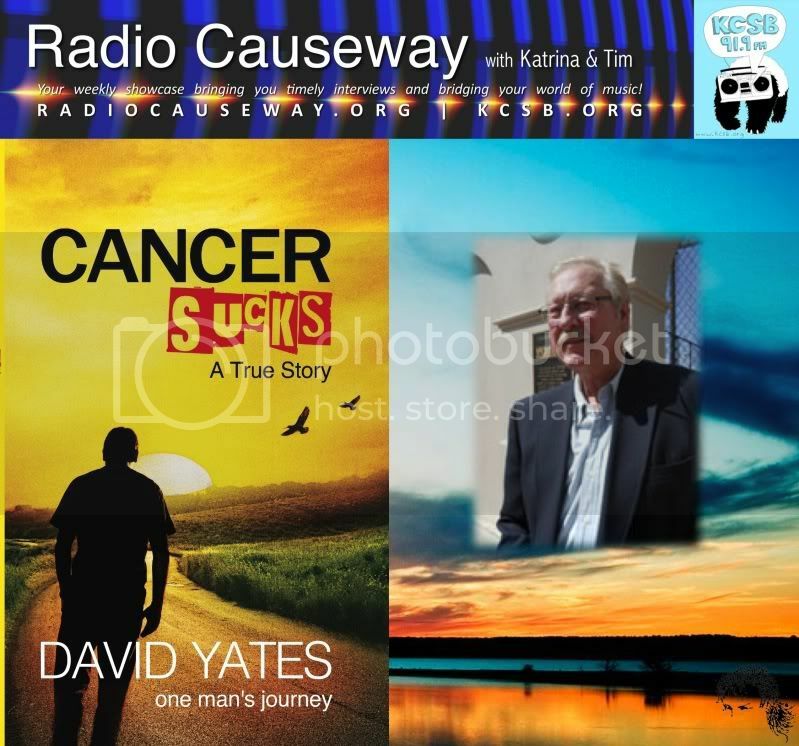 Radio Causeway welcomes back David A. Cleveland, Ph.D. to the show. 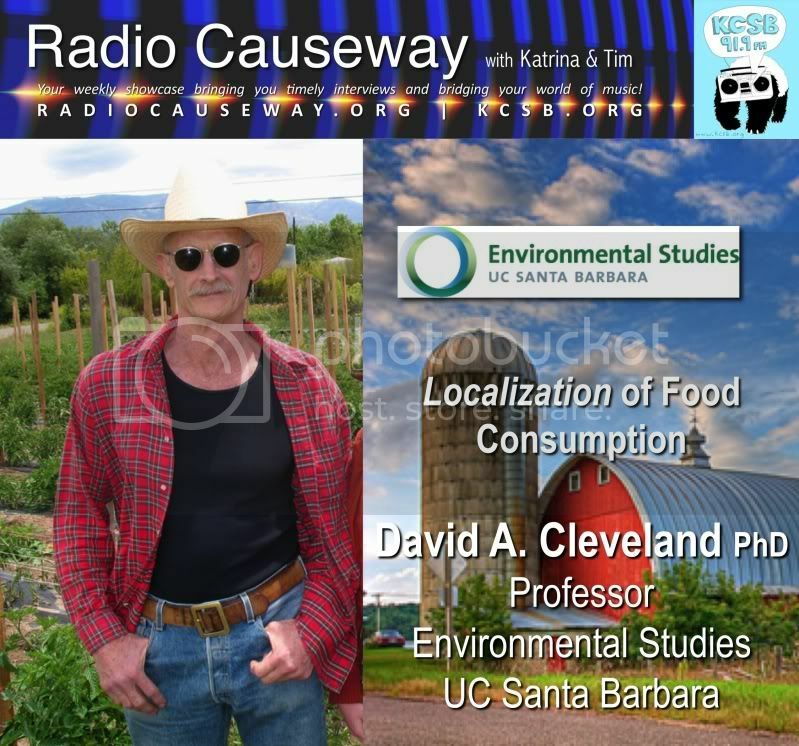 This week Dr. Cleveland discusses his recent article published in the journal, Environmental Science and Technology titled, "Effect of localizing fruit and vegetable consumption on greenhouse gas emissions and nutrition, Santa Barbara County." The Yeah! Free Music! pick of the week is "Indian Summer" from the Fukuoka, Japan based post rock/minimalist band, End's Not Near.